And they invited a few famous faces. Following their memorable appearances at this year’s MTV VMAs, Beyonce and Kanye West brought their afterparty to a pizza restaurant in New York. The superstar pair were joined by their spouses Jay-Z and Kim Karadashian, as well as high profile couples including Puff Daddy and Cassie and Swizz Beatz and Alicia Keys. According to E! News, it was a very relaxed celebration with much of the conversation being about their families and Kanye’s 4 minute VMAs speech. 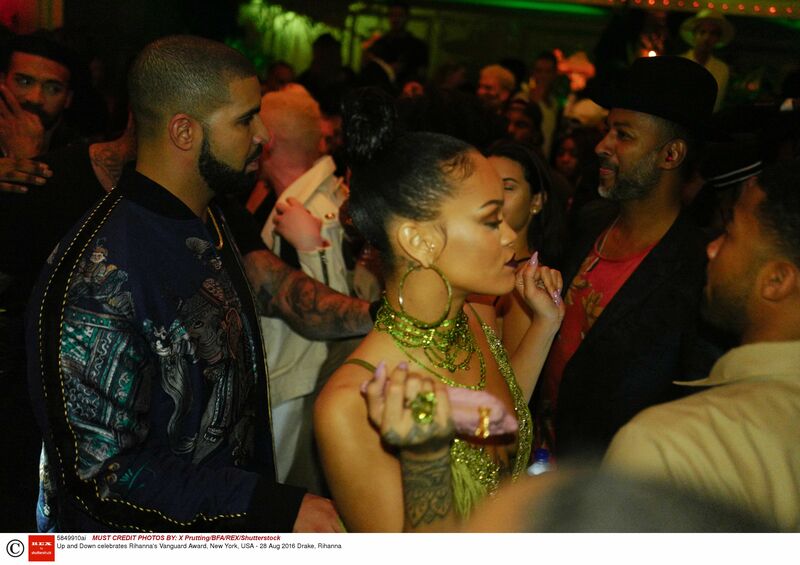 Meanwhile Drake and Rihanna, who kissed on stage at this year’s event, reportedly went for a date in New York. The pair were spotted heading to restaurant Nobu, then moved onto a club, before spending some time at Rihanna’s apartment. According to E!, RiRi was later spotted wearing Drake’s VMAs tuxedo shirt as a dress.